Little Feathered Buddies • View topic - Cruel to keep a single bird with no attention? Cruel to keep a single bird with no attention? Post subject: Cruel to keep a single bird with no attention? Do you think it's cruel to own one bird, and not have any time to play with it? I have been really busy with life, and I sometimes think Cheerio would be better off with someone who actually has time for him. I probable take him out for 10 minutes a week and I feel guilty about it. Post subject: Re: Cruel to keep a single bird with no attention? Parrots are social creatures, and the two basic ways for them to be happy are (1) to be a single bird who gets lots of human attention, and (2) to be part of a multi-bird flock so they have companionship whether they get any human attention or not. I'd agree that it's cruel to have a single bird who's locked up in a cage most of the time with no attention. Yes, I agree with Tielfan. Birds have evolved to live in a flock and are very social, so to keep them in isolation is cruel. I take my birds out for at least 3 hours daily and some people think even that is the absolute minimum. Also, my birds can see each other from inside their cages so they’re never really alone, even when I’m not home. You might want to consider getting another lovebird to keep Cheerio company instead of rehoming him. That way they can bond to each other and they won’t need human interaction to be happy. If you'd like to be a lovebird breeder, you could even get him a mate. That would keep him entertained. 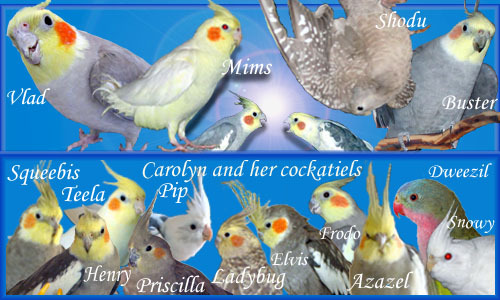 If that's not the way you want to go, you could look for a pet bird club in your area. There might be someone there that would like to have him, as a breeder or a pet. Advertising on craigslist is another way to go, but that's as iffy as a pet shop. Quick question. Let’s say I want to work this out. I’m out by 8am and I get home at around 7pm. I have about an hour a day I could spend with him, plus more during the weekend. Will this work, or is it not enough? Also, I tried buying a second lovebird, but that didn’t work out at the end. I had to give up the second lovebird because they were way too loud. I can't really answer that question. You'll have to try it out and see if it seems like he is happy.